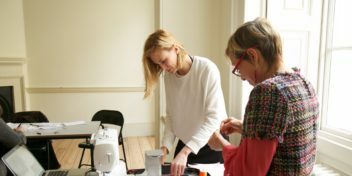 For the last seven months, nine makers, working in a diverse range of disciplines across technology, design and art, have been engaged in an experimental programme intended to nurture and support creative practices in the digital age. MV Works has provided funding, guidance, critical insight and technology to these pioneering groups and individuals. 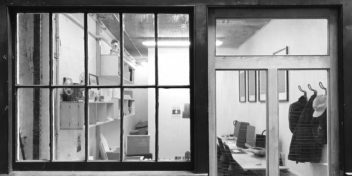 The programme is conceived and operated by none other than Makerversity, the workspace and resource hub for creative makers in London and Amsterdam. Open 9–12 June, their work will be open to the public eye – in a unique exhibition that promises to shine a light on the processes and principles that drive their creative projects. Into the Wild: Decoding the Creative Journey provides an insight into the manifold faces of creativity in the digital age. 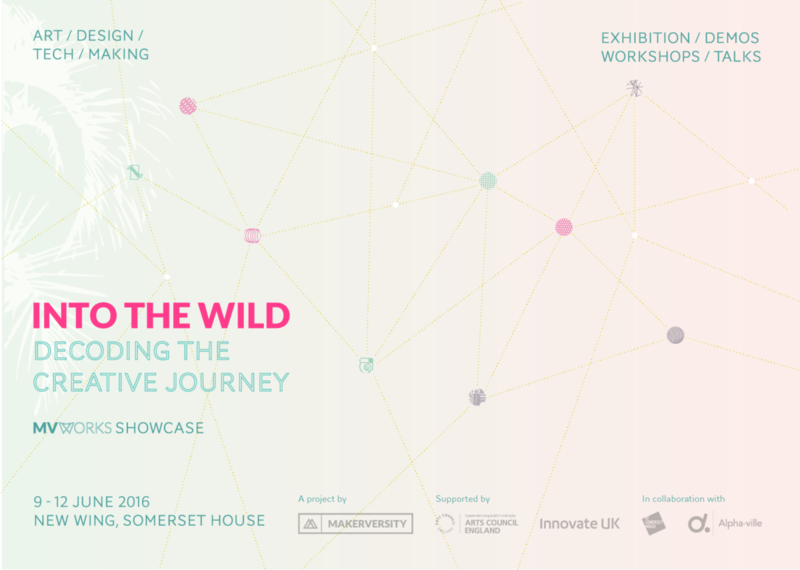 Makerversity invited Estela Oliva, the founder of discipline-crossing creative studio Alpha-ville to curate the Somerset House exhibition. 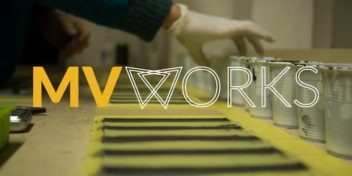 The showcase explores common questions and themes that influence the diverse work of the artists, designers, makers and technologists enrolled in MV Works. Their projects range from immersive artworks that borrow the technology of virtual gaming and digital/paper-fusion storytelling to desktop moulding machines, woodblock-print animation and algorithm-driven light sculptures. Every one of them is pushing the boundaries of art, design and technology, shining a light on the future of making. By presenting the processes that these drive projects alongside their outcomes, Into the Wild aims to explore new hybrid practices that cross the boundaries of art, design, music and making, as well as to consider the innovative production methods and business models that will power the creative businesses of tomorrow. For example, Mayku’s FormBox is a vacuum-powered desktop machine that allows the mass production of 3D plastic shapes, empowering the maker community to make more, offering a social and creative benefit. It’s just been crowdfunded on Kickstarter raising over half a million dollars.